Marvel Comics Brings Back Miles Morales This Fall! 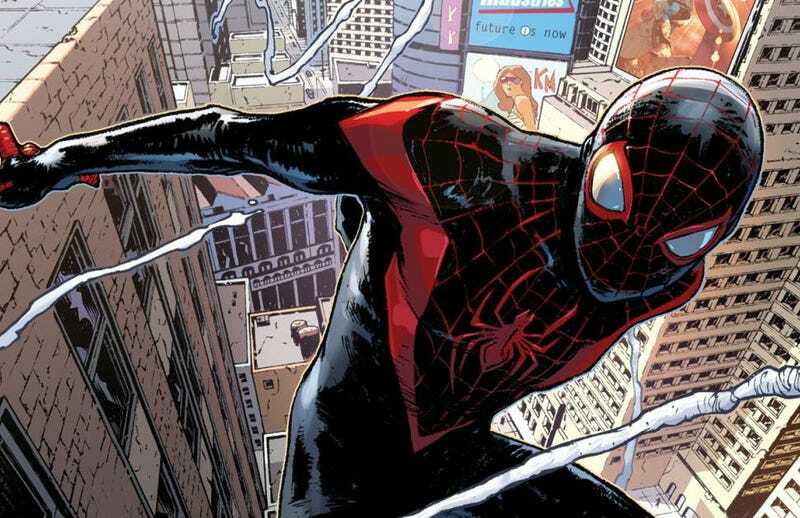 Miles Morales became one of the more popular versions of Spiderman in Marvel’s Ultimate Universe, and now, Marvel Comics is bringing Morales back in the aftermath of the Secret Wars series. Morales will headline Spider-Man when it relaunches this fall. The relaunched comic will be written by Brian Bendis, and joins the Ms. Marvel, Thor and Captain America comic lines, which have also shaken up their titular characters’ gender and race in recent years. Morales was introduced in 2011 in the Ultimate Fallout miniseries, was the main focus in Ultimate Comics: Spider-Man, and has crossed over into the regular Marvel universe on several occasions. Recently, with news that Marvel was incorporating Spiderman into the Marvel Cinematic Universe, there was much speculation that it might be Morales, not Peter Parker, that would be brought in. Since then, it’s been made clear that it’ll be Peter Parker that’ll headlining the films for now. The new Spider-Man will hit stores this fall.